The deal between the Clippers and 76ers involving Tobias Harris has had NBA fans largely talking about Philadelphia transforming into the ​Eastern Conference favorites. What nobody is talking about, however, is that the trade has Los Angeles very quietly positioning themselves to become serious players for two big-name free agents in the summer. 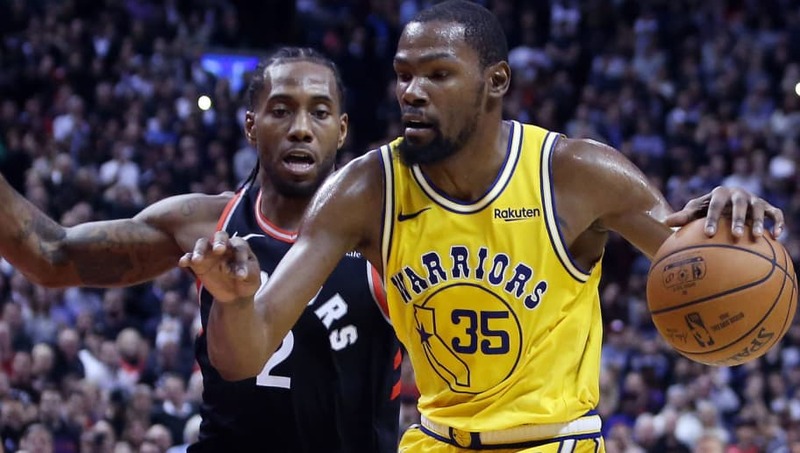 The ​Clippers have been linked with Kawhi Leonard for quite some time now, and according to The Athletic's Sam Amick, the Clippers want to pair the Raptors star with ​Kevin Durant in free agency. ​​"The Clippers can create $53.19 million in cap space this summer," said Amick. "That’s enough for one max player and approximately $20 million for a second star this summer, with rival teams continuing to believe that Leonard is likely to sign with the Clippers if he winds up leaving Toronto," he continued. There's no question that LA will try to move Danilo Gallinari's remaining three-year, $64.7 million contract, which will also free up more space. Not to mention, they are now in position of the Sixers' 2020 first-rounder, the Heat's unprotected 2021 first-rounder, and Philly's 2021 and 2023 second-round picks (which they could very well parlay into a potential trade with other assets). It's time to start taking the Clippers a little bit more seriously.